Jamier Felton gets the ball in IR’s matchup vs. Worcester Prep in the Indians Tip-Off Classic last weekend. • He was also named as an honorable-mention for the All-State Division II team. Felton and the Indians have rolled out of the gates with three straight wins to open the 2018-2019 campaign. 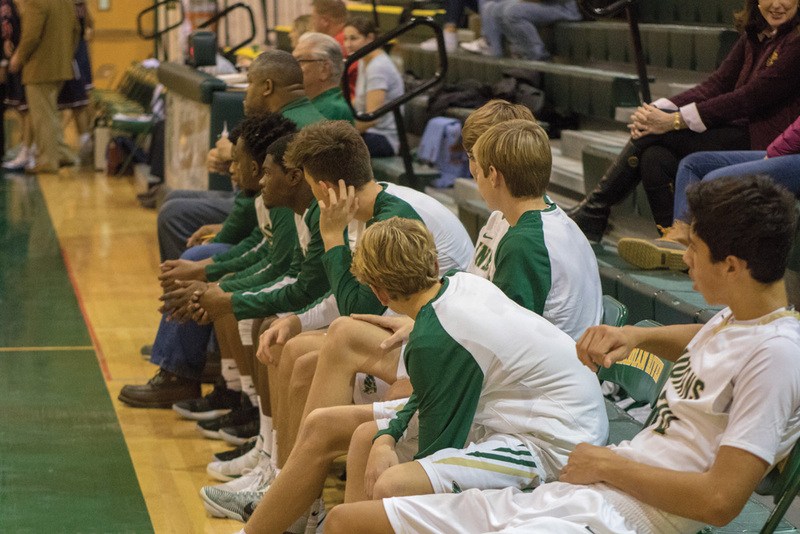 They picked up two wins in the Indians Tip-Off Classic last weekend before opening up the conference portion of their schedule with a 58-39 win over Laurel on Tuesday, Dec. 4. 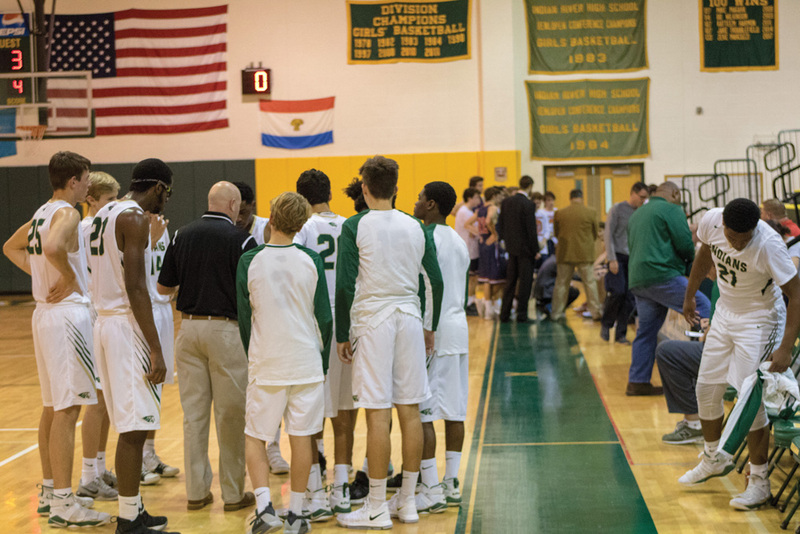 The first two games were victories over Worcester Prep (54-36) and Delmarva Christian (57-39). In the Worcester Prep game, Felton poured in 17 points, while Luke Webber and Antonio Jones each chipped in with nine. Senior Kashid Waples added seven points for the winners. 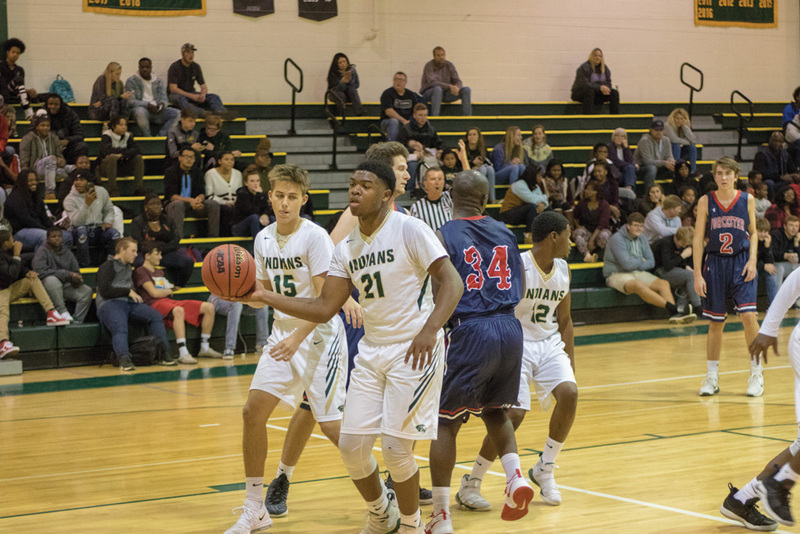 Against Delmarva Christian, Felton again led the charge with 22 points, to go along with nine rebounds and eight steals. Jones followed with 11 markers, while Malachi Waters and Michael Meehan each contributed seven points. The Indians first-half performance in both games was impressive as they raced out to a 24-7 lead against the Mallards and 31-10 against the Royals, respectively. The Indians finished the Bulldogs in similar fashion to their first two wins. Meehan led the Indians with 20 points. Felton posted another all-around strong game with 15 points, six assists, four steals and five rebounds. 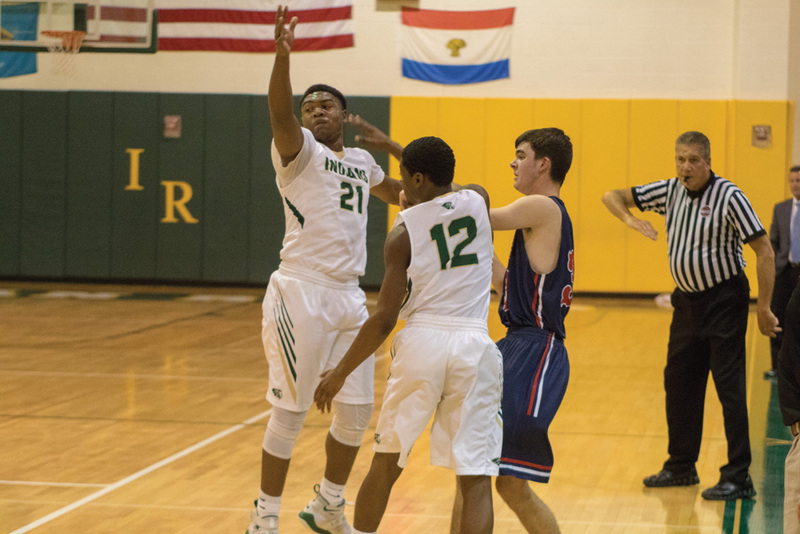 IR will have a week to prepare for their next game — a home contest against Seaford — on Tuesday, Dec. 11.